Wonderfully quaint Berkeley/Regis private home on tree lined quiet street. With both a covered front porch with swing or the backyard patio, this place is great for outdoor entertaining. Inside you'll find a large kitchen with stainless appliances, granite countertops, large sun filled front living room is situated separately from the bedrooms which are tucked in the back of the house for privacy and quiet. 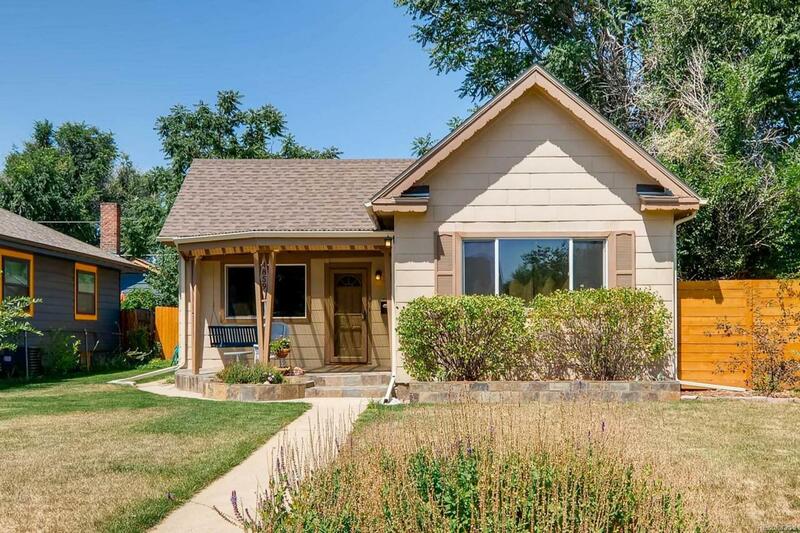 Not your typical ranch, this 1910 home has character and a uniqueness that will allow you to make it your own. Laundry and mud room in the back make chores and clean up easy. 1 car detached garage plus attached storage shed/studio space (lots of potential there). Relaxing in the yard under the large trees plus the newer 6' fence keeps your business your own. Enjoy Berkeley Lake Park and what Tennyson Street offers just blocks from the property.